Earlier this year, the well-loved Air Jordan X made a rousing return, which also led to the release of new colorways f the Jordan CMFT Air Max 10 like the one that recently hit the market. 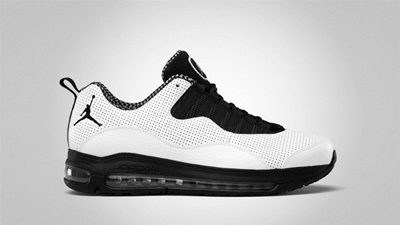 The Jordan CMFT Air Max 10 is now available in White/Black – Stealth colorway for just $135 – an amount that is worth what you are getting from this excellent hybrid sneaker. This silhouette features a white perforated upper part with black touches throughout the entire sneaker. Check this out and you will surely love it!